Akinlolu, A.A., B.A. Salau, A. Odewabi, S.A. Biliaminu and I.M. Abdulazeez, 2018. Plasma hepatic enzymes as biopredictors of type, metastasis and prognostication of hematological malignancies. J. Med. Sci., 38: 24-28. Ajani, E.O., S. Sabiu, K.T. Odufuwa, T.B. Ibrahim and B.A. Salau, 2017. Evaluation of lens aldose reductase inhibitory and free radical scavenging potential of fractions of Lonchocarpus cyanescens: Potential for cataract remediation. Pharmacogn. J., 9: 62-69. Adebayo, O.L., B.A. Salau, R. Sandhir and G.A. Adenuga, 2017. Dietary selenium or zinc supplementation restores brain lipid composition and membrane fluidity in protein-undernourished rats. Dev. Neurosci., 38: 397-406. Salau, B.A., 2016. Vegetable juice: A double edged sword. E Cronicon Nutr., 1: S29-S31. Adeosun, C.B., A.K. Atunnise, K.T. Odufuwa and B.A. Salau, 2016. Cyanogenic glycosides retention in juiced and blanched leafy vegetables commonly consumed in South-western Nigeria. J. Applied Life Sci. Int., 8: 1-7. Adeniji, P.O., G.G. Daramola, A.K. Atunnise, K.T. Odufuwa and B.A. Salau, 2016. Alteration in trace elements concentration and possible copper toxicity in juiced leafy vegetables commonly consumed in Southwestern Nigeria. Br. Biotechnol. J., 11: 1-8. Adeniji, P.O., A.A. Osho, A.K. Atunnise and B.A. Salau, 2016. Effect of juicing on cadmium and lead content of some commonly consumed leafy vegetables in South-west Nigeria. Int. J. Family Consumer Sci., 5: 76-82. Salau, B.A., P.O. Adeniji, C.B. Adeosun and K.A. Atunnise, 2015. Impact of age on some biochemical parameters in growing male albino rats. J. Adv. Biol. Biotechnol., 4: 1-8. Salau, B.A., K.T. Odufuwa, O.D. Olukanni, A.K. Atunnise and G.G. Daramola, 2015. Increase in tannin content of some selected Nigerian vegetables during blanching and juicing. J. Scient. Res. Rep., 5: 152-160. Salau, B.A., K.T. Odufuwa, C.B. Adeosun and A.K. Atunnise, 2015. Blanching and juicing effect on flavonoids contents in commonly consumed leafy vegetables in South West Nigeria. Int. J. Biochem. Res. Rev., 5: 207-213. Odufuwa, K.T., M.M. 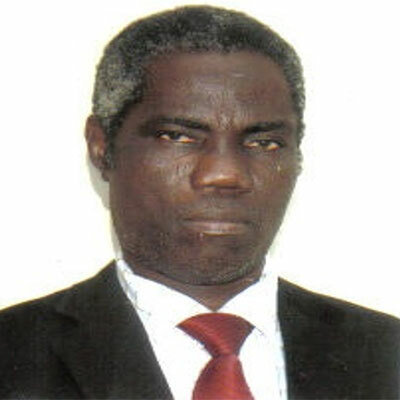 Adeyanju, C.B. Adeosun , A.K. Atunnise and B.A. Salau, 2015. Evaluation of chromium composition of commonly consumed leafy vegetables juice selected from South West Nigeria. J. Food Nutr. Sci., 3: 240-244. Eniola, O.W., O.A. Omobola, A.S. Joseph, S.B. Adewale and O.A. Oluwaseun et al., 2015. Phytochemical screening and toxicological implication of administration of aqueous cocoa powder extract obtained from Nigeria in albino rat. Asian J. Plant Sci. Res., 5: 4-8. Ajani, E.O., S. Sabiu, F.A. Bamisaye, S. Ibrahim and B.A. Salau, 2015. Evaluation of the acute and sub-acute toxicity effects of ethanolic leaves extract of Lagenaria brevifolia (Bitter gourd) on hepatic and renal function of rats. Eur. J. Med. Plants, 5: 210-219. Salau, B.A., E.O. Ajani, O.L. Adebayo, A.K. Atunnise and O. Osilesi, 2014. High sucrose diet modulates calcium status in male albino rats: Possible implication on cardiovascular disease and dental caries. Ann. Biol. Sci., 2: 45-50. Olooto, W.E., O.A. Ogundahunsi, T.A. Banjo, B.A. Salau, A.A. Amballi, E.O. Ajani and O.A. Onakomaya, 2014. Hypoglycemic and modifying effect of aqueous cocoa powder extract on diabetic-induced histologic changes in the pancreas of alloxan diabetic rats. Ann. Biol. Sci., 2: 10-18. Odufuwa, T.K., A.K. Atunnise, O.D. Olukanni and B.A. Salau, 2014. Juicing alters oxalates contents in commonly consumed leafy vegetables in South West Nigeria. Int. J. Nutr. Food Sci., 3: 183-186. Salau, B.A., S. Musa, O.D. Olukanni and O. Osilesi, 2013. Fruits and vegetables diet improves kidney functions and electrolyte status in non-insulin dependent diabetes mellitus (N.I.D.D.M) subjects. J. Biol. Agric. Healthcare, 3: 15-21. Salau, B.A., C.B. Adeosun, K.T. Odufuwa, O.E. Kale and O.D. Olukanni et al., 2013. Methanolic extract of Musa Sapientum surker proffers antioxidant effects against indomethacin-induced ulceration oxidative stress in wistar rats. IOSR J. Pharm. Biol. Sci., 8: 07-12. Salau, B.A., A.O. Ketiku, O.L. Adebayo, W.E. Olooto, E.O. Ajani and O. Osilesi, 2013. Modulation of cardiovascular risk factors (haematological and haemorrheological parameters) caused by sucrose diet. Am. J. Biochem. Mol. Biol., 3: 119-126. Salau, B.A., A. Atunnise, O.O. Sodipo, O.E. Kale and E.O. Ajani, 2013. Sub-chronic effects of methanolicbenth bark extract of BrideliaFerruginea on some selected biochemical indicesin rats. IOSR J. Pharm. Biol. Sci., 5: 81-86. Odufuwa, K.T., G.G. Daramola, P.O. Adeniji and B.A. Salau, 2013. Changes in alkaoids content of some selected Nigerian vegetables during processing. IOSR J. Dent. Med. Sci., 6: 51-54. Odufuwa, K.T., A. Atunnise, H.J. Kinnah, P.O. Adeniji and B.A. Salau, 2013. Changes in saponins content of some selected Nigerian vegetables during blanching and juicing. IOSR J. Environ. Sci. Toxicol. Food Technol., 3: 38-42. Edeh, R.I., P.O. Adeniji and B.A. Salau, 2013. The effects of household processing on the ascorbic acid and moisture contents of some selected Nigerian vegetables. IOSR J. Environ. Sci. Toxicol. Food Technol., 6: 52-54. Akinlolu, A.A., O.K. Ghazali, B.A. Salau, J.O. Otulana and M. Omowunmi, 2013. Musa sapientum attenuates total antioxidant and lipid profile values in rats with indomethacin-induced gastric ulceration. Cell Membrane Free Radicals, 4: 232-241. Ajani, E.O., F.A. Bamisaye, O.O. Margaret and B.A. Salau, 2013. Dietary supplementation with calcium in healthy rats administered with artemisinin based combination therapy and risk of cardiovascular disease. IOSR J. Pharm. Biol. Sci., 6: 19-23. Ajani, E.O., B.A. Salau, W.O. Olooto and F.A. Bamisaye, 2013. Plasma electrolyte and some biochemical changes following separate and combined administration of calcium and artemisinin-lumefantrine based therapy. Asian J. Exp. Biol. Sci., 4: 97-102. Adeyanju, M.M., A. Atunnise, O.D. Olukanni, C.B. Adeosun and B.A. Salau, 2013. Beniseed diet moderates blood glucose and body weght in rat fed high sucrose diet. IOSR J. Dent. Med. Sci., 10: 24-27. Adebayo, O.L., P.D. Shallie, B.A. Salau, E.O. Ajani and G.A. Adenuga, 2013. Comparative study on the influence of fluoride on lipid peroxidation and antioxidants levels in the different brain regions of well-fed and protein undernourished rats. J. Trace Elem. Med. Biol., 27: 370-374. Salau,, B.A. and E.O. Ajani, 2012. Methanolic extract of Musa sapientum (L var. paradisiaca) sucker improves lipid profiles in alloxan induced diabetic rats. Asian J. Biol. Sci., 5: 322-327. Salau, B.A., W.E. Olooto, O.L. Adebayo, E.O. Ajani, K.T. Odufuwa and J.O. Olowookere, 2012. Sucrose diet elevates cardiovascular risk factors in male albino rats. Int. J. Biol. Chem., 6: 61-68. Salau, B.A., M.M. Adeyanju, K.T. Odufuwa and O. Osilesi, 2012. Fruits and vegetables diet improves some selected haemorheological parameters predisposing to cardiovascular disease in non insulin dependent diabetes mellitus NIDDM subjects. Pak. J. Biol. Sci., 15: 694-697. Ajani, E.O., B.A. Salau, O.L. Adebayo, B.O. Adegbesan and K.T. Odufuwa, 2012. Administration of Hydrocotyl bonariensis aqueous leaves extract regulates cardiovascular disease risk factors in galactose model of experimental cataractogenesis. Sci. Res. Essays, 7: 1527-1530. Salau, B.A., E.O. Ajani, M.O. Soladoye and N.A. Bisuga, 2011. Evaluation of iodine content of some selected fruits and vegetables in Nigeria. Afr. J. Biotechnol., 10: 960-964. Salau, B.A., E.O. Ajani, G.A. Adenuga, G.O. Idowu and E.W. Olooto, 2011. Implications of dietary sucrose on feed intake, bodyweight and blood glucose level of rats. Res. Bioscientia., 2: 7-12. Ajani, E.O., B.A. Salau, E.W. Olooto, O.L. Adebayo and G.A. Adenuga, 2011. Toxicological implications of continuous administration of aqueous leaves extract of hydrocotyl bonariensis in rats. Arch. Appl. Sci. Res., 3: 471-478. Salau, B.A., E.O. Ajani, K.T. Odufuwa, B.O. Adegbesan, and M.O. Soladoye, 2010. Effect of processing on iodine content of some selected plants food. Afr. J. Biotechnol., 9: 1200-1204. Salau, B.A., E.O. Ajani, A.A. Akinlolu, M.N. Ekor and M.O. Soladoye, 2010. Methanolic extract of Musa sapientum sucker moderates fasting blood glucose and body weight of alloxan induced diabetic rats. Asian J. Exp. Biol. Sci., 1: 30-35. Ajani, E.O., B.A. Salau, E.N. Ezima, O.H. Oyefuga and P.O. Osineye, 2009. A study on the combined administration of chloroquine and insulin effect on serum transferases and phosphatases activity during increased dietary fat and calcium consumption. Afr. J. Biochem. Res., 3: 13-16. Ajani, E.O., A.A. Salako, P.D. Sharlie, W.A. Akinleye, A.O. Adeoye, B.A. Salau and O.O. Adebawo, 2009. Chemopreventive and remediation effect of Hydrocotyl bonariensis Comm. Ex Lam (Apiaceae) leave extract in galactose-induced cataract. J. Ethnopharmacol., 123: 134-142. Salau, B.A., A.O. Ketiku, E.O. Ajani, E.N. Ezima and G.O. Idowu et al., 2008. Iodine contents of some selected roots/tubers, cereals and legumes consumed in Nigeria. Afr. J. Biotechnol., 7: 4328-4330. Ajani, E.O., P.D. Shallie, B.O. Adegbesan, B.A. Salau and M. Adesanya, 2008. Protective effect of Garcinia Kola. (Kolaviron) extract on predisposition of rats to cardiovascular diseases following separate administration of amodiaquine and artesunate. Afr. J. Tradit. Complement Altern. Med., 5: 180-186. Ajani, E.O., P.D. Shallie, B.O. Adegbesan, B.A. Salau and A. Akinpelu, 2007. A study of the hepatoprotective effect of Garcinia Kola water extract in amodiaquine and artesunate treated rats. Niger. J. Health Biomed. Sci., 6: 9-15. Ajani, E.O., B.A. Salau, T.R. Fagbohun and A.O. Ogun, 2004. Combined effect of chloroquine and insulin administration on some biochemical parameters in rats placed on high fat and calcium diet. Afr. J. Med. Sci., 33: 365-369. Salau, B.A., O. Osilesi, G.O. Idowu, S. Musa and E.O. Ajani, 2003. Effects of fruits and vegetables on cardiovascular disease risk factors in non-insulin dependent diabetes mellitus (N.I.D.D.M) subjects. Afr. J. Med. Pharm. Sci., 7: 21-26.